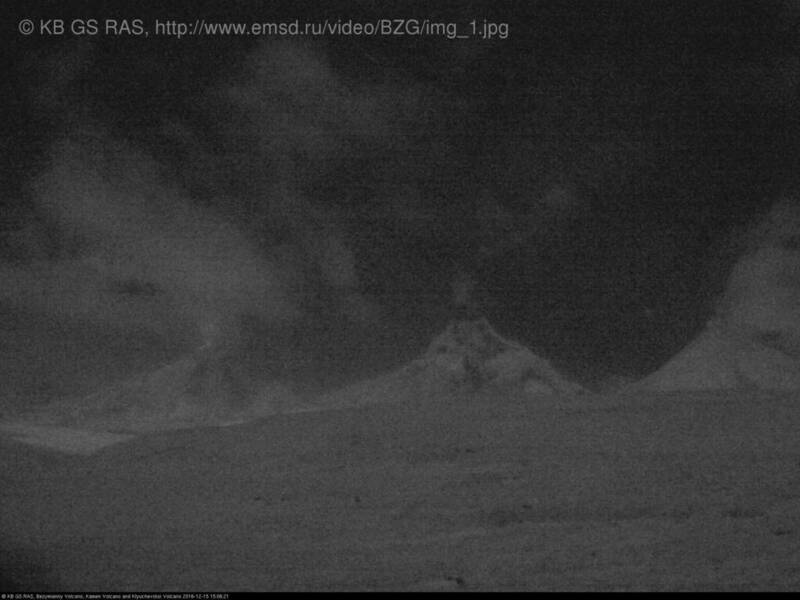 New eruptive activity is occurring from the "unnamed" volcano of Kamchatka (Bezymianny means unnamed, this even though it is one of the peninsula's most active!). KVERT raised the aviation alert level of the volcano to orange on 13 December following an increase in seismic activity. According to a new report, earthquakes have gradually increased since 18 November. A significant thermal hot spot originating from the summit of the volcano's dome complex inside the 1956 caldera has been visible on satellite data during the past days, suggesting that a new extrusion of viscous lava (lava dome) might have started. Tokyo VAAC also reported an (unconfirmed) ash emission earlier today.